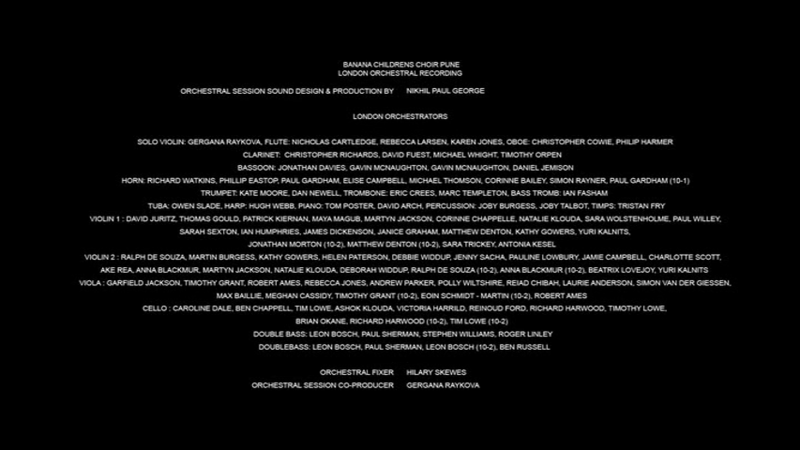 Songs (5 + 1 BGM piece that came out a while back) and complete credits at the end. 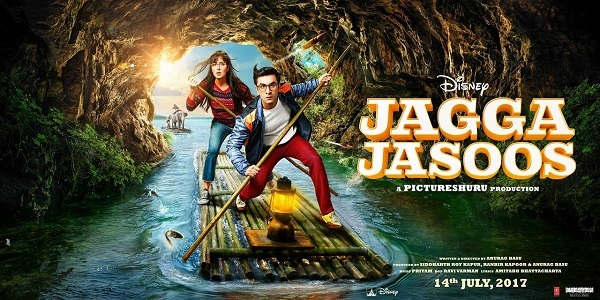 Since the music covered in the review includes background pieces that are entwined with the movie’s storyline, a spoiler alert for the benefit of anyone who is yet to watch Jagga Jasoos. The movie begins – as Anurag Basu & Ranbir Kapoor’s last one did – with the Ala Barfi-esque Picture Shuru ditty, except here a bunch of kids replace Swanand Kirkire, arrangement turns a-cappella and Amitabh Bhattacharya’s modified lyrics a preface of sorts to the movie itself (It will be fun if variations of this track become the theme piece for all Picture Shuru Entertainment movies in future!). After a quick peek into the Purulia arms drop incident (with part-musical news debates) and establishment of the protagonist’s literary influences, we are taken to Jagga’s past. Anurag Basu’s work in Jagga Jasoos often harks back to Barfi in multiple ways, but it is in the childhood sequence that Pritam’s music most discernibly feels like an extension of the magical world Barfi was set in. And the best track from this phase is the one introducing the affable kid – Aaya Jagga (led by Neeti Mohan who sings a big chunk of the BGM songs) – marked by some beautiful use of harmonies and orchestral flourishes. The Laakhon Mein Ek refrain from the song becomes a recurrent motif through the movie, making an appearance in some of its most poignant moments. Three more endearing songs follow (and fleeting musical touches like the boy’s musical by-hearting of his lessons, and the farewell moment) – two establishing Jagga’s relationship with the tooti taang aur footi kismat waala Tooti Footi and one built around the evolution of his investigative habits (sung by Nikhita Gandhi), as the film proceeds to his youth. A wordless piece constituted by an assortment of intriguing sounds (a bathroom orchestra, a kitchen orchestra among them) herald Jagga’s school life, the setting for first of the comic book stories – The Mystery of the Clock Tower. The 12-minute segment goes through multiple musical movements representing different stages of the story, often doubling back to the Miss Mala theme. 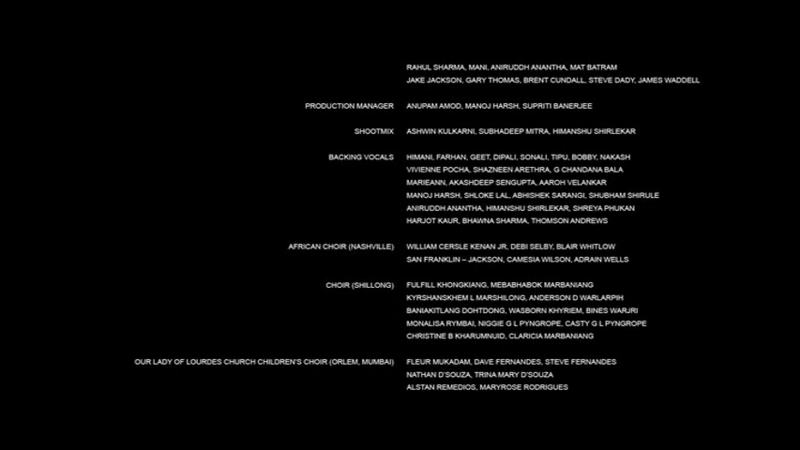 While the rhyming is exquisite throughout this part (not sure who wrote it; opening credits mention Anurag Basu, Samrat Chakraborty and Debatma Mandal apart from Bhattacharya), musical high point is the brilliantly choreographed enactment of the fall from the tower with the tick-tocks, violins et al. Further elaboration of Jagga’s relation with Tooti Footi follows, and brings with it the first “song” of the album – Phir Wahi. Arijit Singh expectedly nails the pensive rendition while Nyzel D’lima and Roland Fernandes rule the backdrop with their guitar work. Murder on the Giant Wheel, the second book, takes the story further east and North Eastern folk music influences start flowing in – first of the tracks being the short folksy piece Milan Ki Bela. A gamelan (I think) orchestra forms the backdrop of Ranbir’s rap-based enquiry that follows as well (again some ace rhyming – gondokol vs role etc). Second song to make its appearance is the breezy Jhumritalayya (mild Main Kya Karoon vibes here) penned by Neelesh Mishra, beautifully building on the those-destined-to-meet-shall-meet concept, one of the movie’s key plot devices. Interesting distinction in the movie version of the song is the dotara that beautifully underlines the arrangement throughout its length (and in the sequence that follows), even during the angry outburst that divides the song in half. 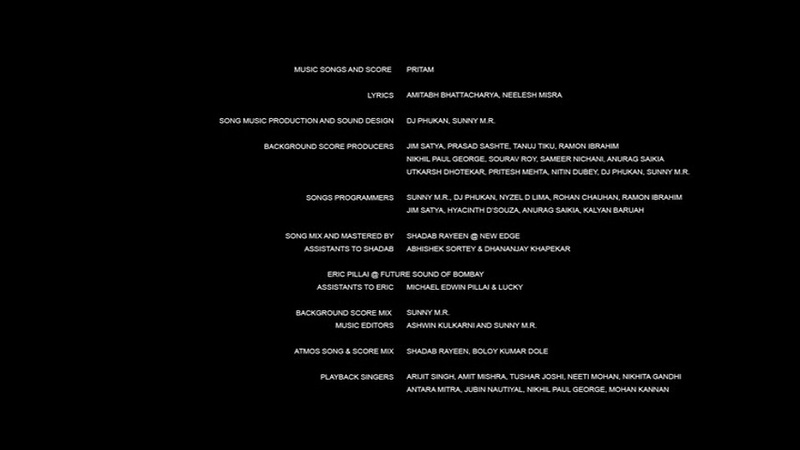 The story ends with another of the album’s full tracks – Galte Se Mistake, one that has faced some plagiarism allegations (though I personally just find it as built on one of Pritam’s oft-used dance templates – last instance of which was Naach Meri Jaan from Tubelight). Fun song, made even more so by its visuals. A haunting cello solo accompanies the introduction (sort of) of the villain Bashir Alexander, one that segues into a stirring ensemble piece as Jagga learns about Tooti Footi. The cheery Humko Usse Kya that follows, while cutely presented, is an apt representation of the increasing lack of empathy in present-day world. Another instance of a fun song turning philosophical happens soon after that – the brilliantly written (by Bhattacharya in this case) Khaane Khaake, the only BGM track so far that T Series deemed fit to release officially. Music enters the African territory with the third story set in the fictional country of Mombaka – a lot of percussion, ethnic chants and some amusing rap. 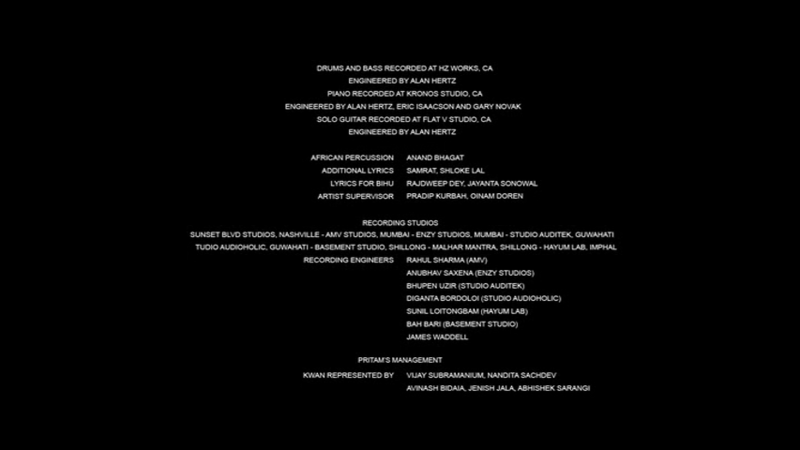 The best musical piece from this segment (in fact the best song from the soundtrack) however has a dominant European flavour – Ullu Ka Pattha sung by Arijit Singh and Nikhita Gandhi. While the singing is top notch, it is the guitars by Daniel Garcia Diego (flamenco) and Roland Fernandes that truly lend the song its irresistible charm. Multiple little musical nuggets later comes another of the prominent background pieces, the exhilarating Tukka Laga where even Saurabh Shukla chips in with some rapping. Among the other musical highlights of this story are the Russian folk song Kalinka (the one that Vishal Bhardwaj adapted for his song Darling in 7 Khoon Maaf) and the throwbacks during sequences featuring Tooti Footi, particularly during the reunion scene. Finally, there is the serene Musafir, the only song to not feature Arijit’s voice (Tushar Joshi is the singer here; presenting an equally effective rendition). The song gives me a very Imagine-esque vibe, for its use of piano and the message of peace that plays out in the movie towards the end of it. In its entirety, Jagga Jasoos is without doubt the most incredible work of music that composer Pritam has produced to date. 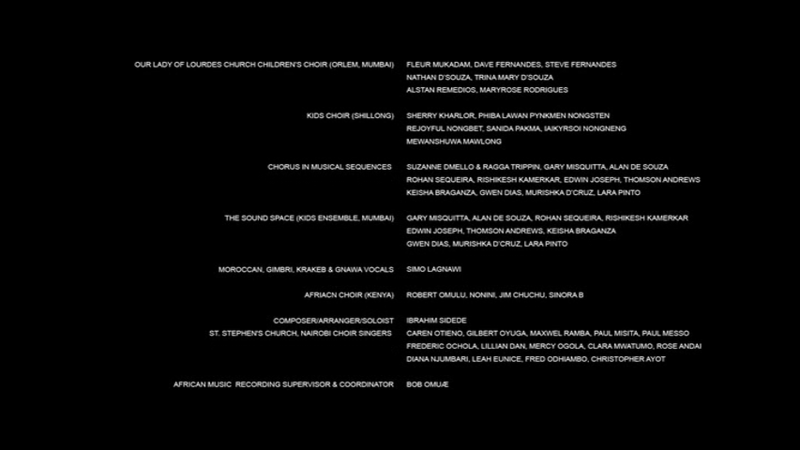 It is just sad to see that five months since its release, a large chunk of the music is yet to see an official release. Top Recos: Too many to name! 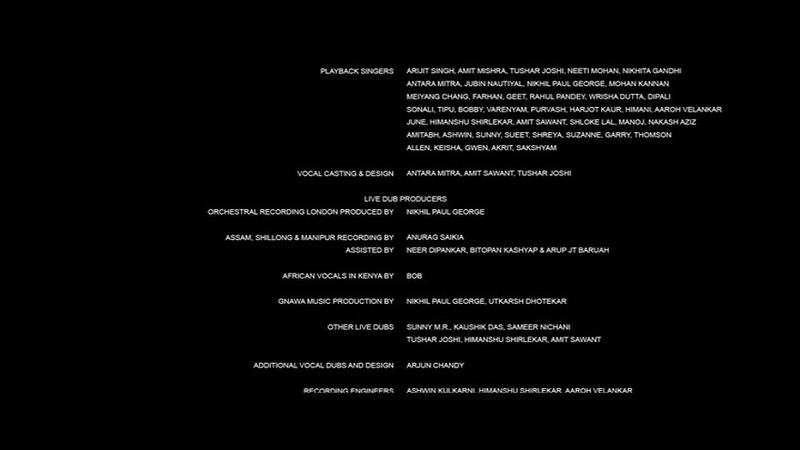 PS: A big thank you to the folks from @IndianMovieBGMs for showing the love to the OST that the movie’s producers don’t seem to share.